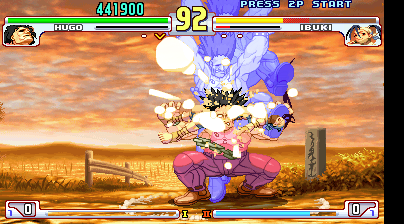 With 2nd Impact still not being the success Capcom wanted, they had one more go with the Street Fighter III series. 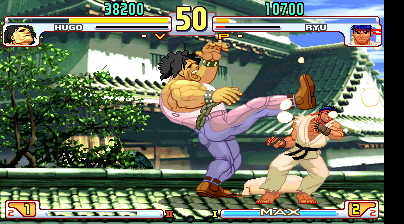 3rd Strike was released in 1999 and featured completely new backgrounds, music, endings and more. Five new characters were added, including fan favourite Chun Li. 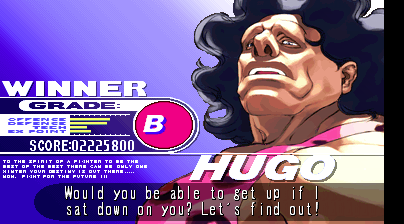 And since every character from the previous game returned, Hugo was back. This time he wants to create his own wrestling league and sets out to get as many people to join as possible. The H.W.A. (Huge Wrestling Army) needs members and so he and Poison come up with the idea that any fighters Hugo beats have to join. Hugo has all of his moves from the previous game, and was given a new intro animation when facing Alex -the two stare each other down then Poison then tells Hugo to get on with it and he pushes Alex back. 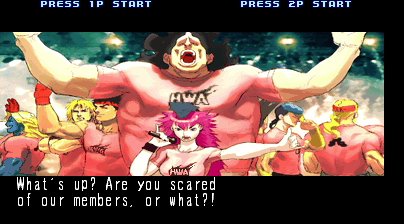 This is a reference to former WWF stars Andre the Giant and Hulk Hogan, who did a similar thing in a match. 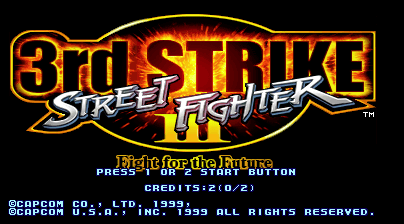 3rd Strike was originally ported to the SEGA Dreamcast. It also appeared on the Street Fighter Anniversary Collection for Playstation 2 and Xbox. More recently, Street Fighter III 3rd Strike: Online Edition was released for the Playstation 3 and Xbox 360 in 2011.